Seventy Comptrollers of Customs have been redeployed with immediate effect as approved by the Comptroller-General of the Customs, Col. Hameed Ibrahim Ali (Rtd). In a statement, Public Relations Officer of the Service, Mr. Joseph Attah, said the redeployment was done to rejig the operations of the Nigeria Customs Service to meet the challenges of fighting smuggling, revenue collection and trade facilitation. According to the statement, among those affected are Comptrollers, Abubakar Bashir who moves from Port-Harcourt II (Onne) to Apapa, Musa Jibrin from Apapa to Human Resources Development, Sa’idu Galadima moves from Information Communication Technology (ICT) to Port-Harcourt Area II (Onne), while Comptroller, Mohammed Aliyu of Seme Command swapped positions with Comptroller, Mohammed Garba of Federal Operations Unit Zone ‘A’. 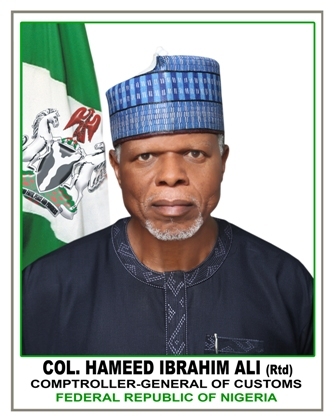 The CGC was quoted as saying that: “ Federal Government policies on Agriculture, Economy and Security can only be successful with a strong, determined and patriotic Customs Service,” as he charged all affected officers to bring their experiences to bear in their new postings by fighting smugglers to a standstill and collecting every collectable revenue.